Welcome to Showcase Saturday. 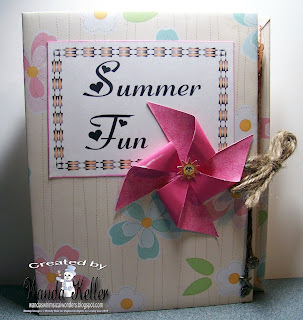 Today I'm going to show you how much fun you can have using Digital Delights Digital Papers and Digital Stamps to make your own Summer Time Album. Flowers from Flower Face Set. I'm excited to see all your Summer fun! Did I miss something here...I thought it was going to be a tutorial on how to create the Envelope Mini Album..actual instructions on the creation. All I observed was the final outcome of the project. It was pretty.